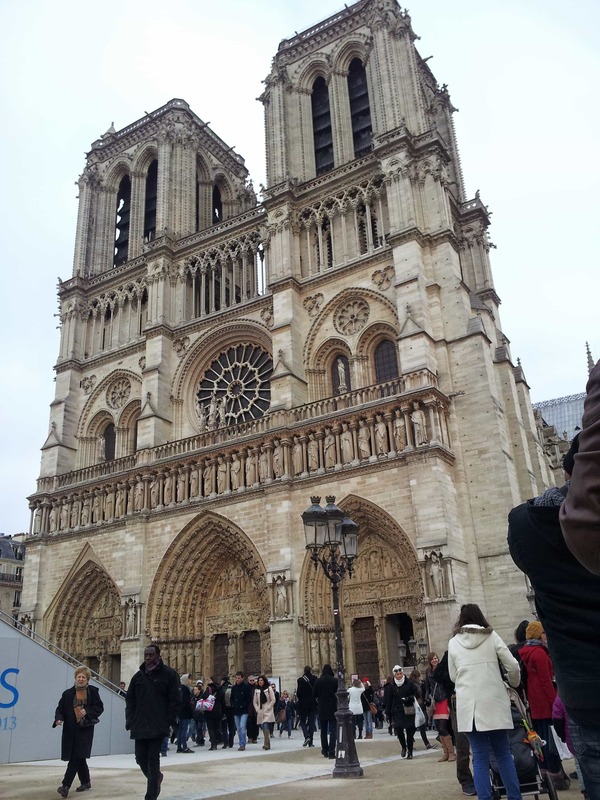 This very famous medieval church dedicated to Our Lady, is dated back to 1345 and is the seat of the Archbishop of Paris. 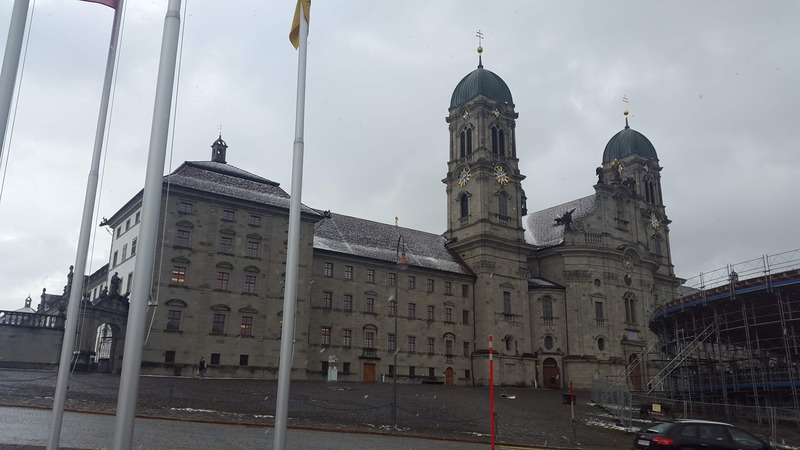 This cathedral holds a superior place in Christianity because it is where Our Lord’s three of the most precious relics are kept: Christ’s Crown of Thorns, a fragment of the True Cross, and one of His Holy Nails. The largest church of Italy and the fifth largest in the world, this 600-year-old Gothic cathedral is the seat of Archbishop of Milan. This cathedral has the most number of statues, which is 3400 of them, than any other buildings in the world! Dedicated to Our Lady, the gold-colored statue of Mary known as the Madonna stands on the Cathedral’s highest spire and watch over the city of Milan. Above all, the cathedral is also home to a precious relic – one of the nails of Jesus’ crucifixion! The Holy Nail is exhibited at the alter once every year for the worshippers. Designed by the renowned Catalan architect Antoni Gaudí and commenced in 1882, this majestic cathedral’s construction is still ongoing! Gaudi passed away in 1926 witnessing only 25% of the construction and it got interrupted during later years by the Spanish Civil War. 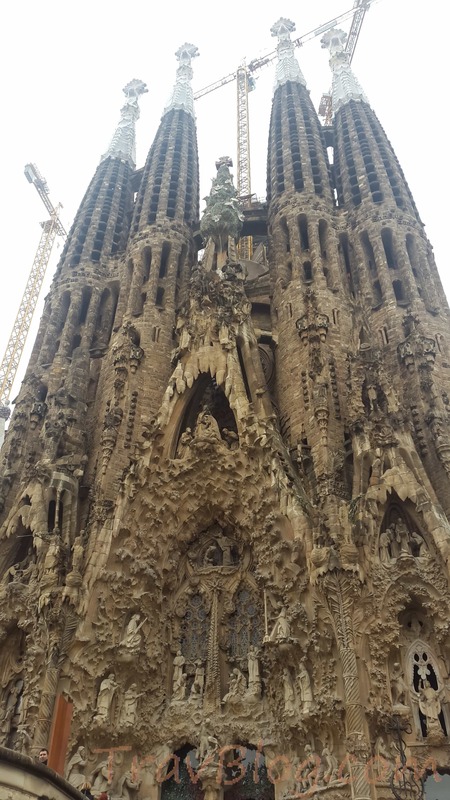 Construction has resumed intermittently afterward and is now expected to complete in 2026, 100 years after Gaudi’s death. The church is an extraordinary example of Gothic Architecture like you have never experienced anywhere else. In November 2010 Pope Benedict XVI consecrated La Sagrada Familia and proclaimed it as a minor basilica. Even if the construction works are going on, visitors can access the Nave, Crypt, Museum, Shop, and the Passion and Nativity towers. 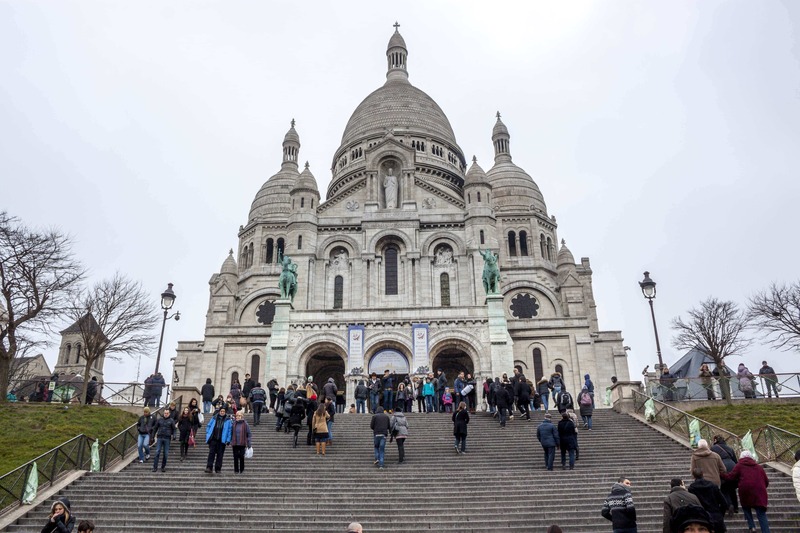 This beautiful white domed cathedral is situated on the top of the Montmartre hill. It is the highest point in Paris city and the view of the city is breathtaking from here! This church is consecrated in 1914 after the end of World War I. Even if the church is open to visitors all day, there are several beautiful chapels inside the cathedral where you can light a candle, sit down in silence and say a prayer. The mosaic art of ‘Christ in Glory’ at the high altar is one of the largest in the world. It is featured the risen Christ in beaming white clothes, revealing his golden heart surrounded by the Virgin Mary, Saint Michael, Saint Joan of Arc, Pope Leo XIII as well as a symbolic lady figure representing France offering her Crown. This 800-year-old Cathedral is one of the greatest in Britain with many significant features. Its interior is a feast to the eye with magnificent stained windows, decorated tombs, little chapels etc. Other important possessions include the World’s oldest working clock and a copy of the very famous document ‘Magna Carta’ (issued by King John in 1215). 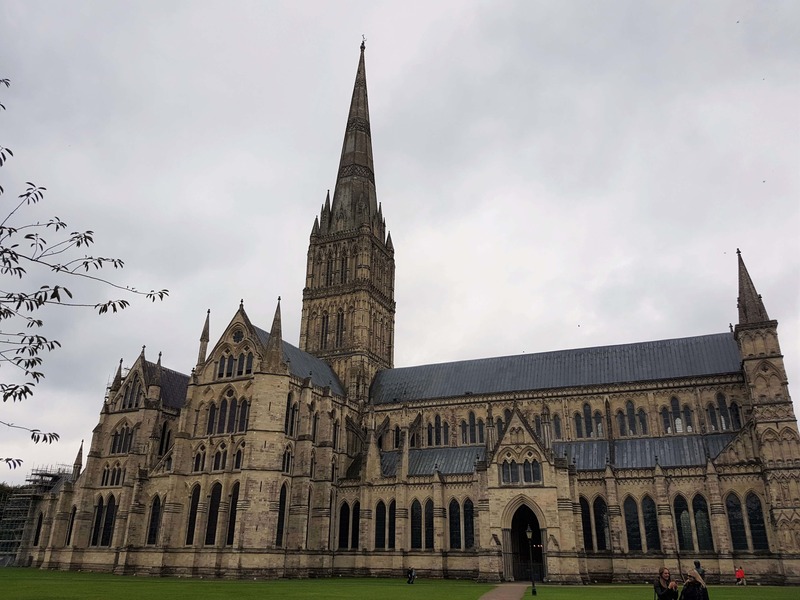 Also, Salisbury Cathedral has the tallest church spire in UK. The Statue of Black Madonna in this beautiful Benedictine monastery is very powerful. Our Lady’s statue looks ever so glorious in elaborately embroidered clothes adorned with jewels. Depending on the celebrations, the color of the clothes of Our Lady is changed. This miraculous statue was created by an unknown artist in the 15th century. It is believed that colour of the statue has become black over the years from dust and smoke from the candles and oil lamps. There aren’t many statues like this in Europe, but there is one in another Benedictine abbey on the Mountain top in Barcelona (Montserrat) called Black virgin of Montserrat which resembles to this statue. Even compared with the other churches on this list, Lakewood is a behemoth, packing more than 40,000 people into what used to be the Compaq Center, formerly the Summit arena home of the Houston Rockets. The evangelical congregation is nondenominational, and weekly services are broadcast in local markets nationwide as well as on the Trinity Broadcasting Network. What began as a tiny congregation meeting in a garage in the mid-1990s has since become a mult-site church with a number of campuses that use satellite video to coordinate worship. There are now venues in Oklahoma, Texas, Tennessee, Florida, and New York, and services are also streamed online for people who wish to watch from home. Located in a suburb of Chicago, Willow Creek was the first church to deploy giant HD screens in its theater to aid those who can’t quite see the action on stage. They’ve also got services across an array of locations in and around Chicago. Founded in 1995, North Point now utilizes three campuses for its weekly services. They’ve also planted more than 20 churches throughout the country and in Canada that serve their communities as partner churches with the flagship location in Alpharetta, a suburb of Atlanta. The Young family is famous in megachurch circles: Ed Young, Sr. heads up Houston’s Second Baptist Church, while his son oversees Grapevine’s Fellowship Church. Second Baptist has five locations around the city to help reach more worshippers, with numerous groups that meet throughout the week to connect with people on a more intimate level. 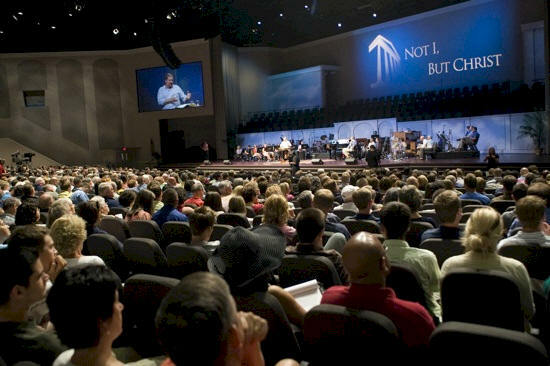 Saddleback Church, in Southern California’s Orange County, is affiliated with the Southern Baptist Convention. Founded in 1980 by Rick Warren, the church is one of the most prominent evangelical bodies in the nation, and Warren is best known as the author of the 2002 devotional book The Purpose-Driven Life. Fellowship Church is tied to the Southern Baptist Convention in a very loose way, opting not to emphasize its connection in order to avoid scaring off new converts who might be uncomfortable with the SBC label. It began in 1989 as an offshoot of First Baptist Church of Irving, Texas, but a name change and more people-oriented services led to quick and steady growth. This 17,000-strong congregation in Kentucky is affiliated with the Independent Christian Churches/Churches of Christ, which differ from other autonomous Churches of Christ in the use of instrumental worship music. The church has been growing since its founding in 1962, and in 2009 opened a satellite campus in Jeffersonville, Indiana. Located in a suburb outside Houston, Woodlands Church was founded by pastor Kerry Shook in 1993 and has since grown to be one of the biggest in the nation. The main campus in The Woodlands also supports three other campuses in the outlying Houston region. There’s also an “online campus” for people to stream sermons and worship services. The biggest megachurch in Florida has been going strong for 25 years under the direction of Bob Coy. In addition to a thriving variety of small groups for people of all ages, the church’s site archives worship services for streaming or download. Yes, We know it’s not the size of the church, But its health that counts! But we feature these churches in this article just for your information so that if you go past these places in future, its worthwhile to make a visit to these wonderful churches in United States. St. Mary’s Forane Church, Chalakudy, Kerala is a very nice place to visit if you ever come to this Gods Own Country, Kerala in India. St. Mary’s Forane Church, Chalakudy, is one of the 10 Foranes or deaneries under the diocese of Irinjalakuda, which was established in 1978 by the bifurcation of Thrissur Diocese. Prior to that, Chalakudy was part of Thrissur diocese, the most ancient diocese of the Syro-Malabar Church. Thrissur diocese has since been elevated to an archdiocese within which comes the Irinjalakuda diocese. There are 15 parishes under the Chalakudy forane. The people of Chalakudy, mainly in business or service sectors, belong to middle or upper-middle class families. They maintain strong family ties and hold spiritual and traditional values in high esteem. Chalakudy is one of those areas in Kerala with high concentration of Christian population majority being Syro-Malabar Catholics. The main pious associations of the parish are Darshana Sabha, Vincent de Paul Society, SFO – Franciscan Third Order, Mothers’ Association, Christian Life Community, Catholic Youth Movement, Altar Boys Association and the Choir Group. Important activities include Family Apostolate, Catechism, Parish Bulletin, Social Action Forum, Bible Study Group and Prayer Group. The church runs a Lower Primary School that was established more than a century ago. By God’s grace and with the intersession of Blessed Virgin Mary, the church has been able to meet all the spiritual needs of the faithful and lead them in the light of faith upholding the gospel values. Besides, the church remains committed to the general causes of the community as a whole, rendering all possible assistance to the needy in areas such as housing, education, health care, social welfare, etc. with the support and cooperation of parish associations and generous individuals. A beautifully made park like structure which depicts all the scenes from Jesus’s life. 16 pictures taken from the Holy Land are given above. It is a nice walk through seeing all the important events in our Lords life depicted with statues along with an on going commentary describing the scene beside each station. Chalakudy is conveniently connected by air, rail and road. Located very close to the National Highway 47, it is 30 Kms south of Thrissur, 45 Kms north of Ernakulam, and 22 Kms from Kochi international airport (Nedumbassery). Chalakudy railway station is just two kilometers away.